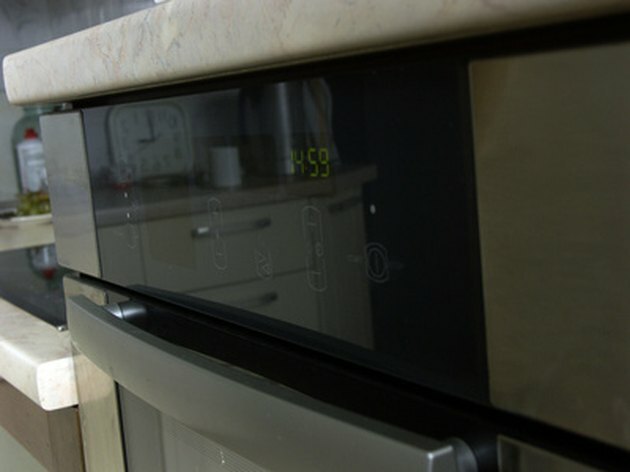 The bottom (or base) of an oven can develop holes over time. This can be caused by two things. First, food can fall down onto the base and slowly break through and eat away at the metal. Second, in areas with high humidity and low ventilation, rust can develop on the oven base, which over time eats through the metal. If the hole is larger than an inch wide, the base should be replaced, but if not, it can be fixed with heat-resistant epoxy coating, which withstands temperatures of up to 400 degrees Fahrenheit. Oven bases can rust and create holes in high humidity areas. Remove the bottom of the oven by pulling it up and lifting it out of position. Break off any rusty areas around the hole by using pliers. Also sand around the immediate area of the hole to clear it of any dirt. Mix the two epoxy tubes together in a 1:1 ratio. Apply it to the hole and surrounding area with a putty knife. Let it dry for 24 hours. Use light sandpaper to smooth out the area. 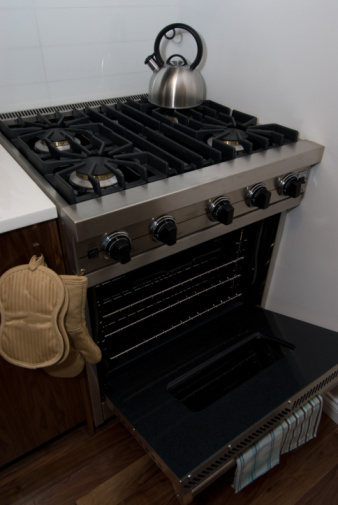 Wipe away any dust epoxy particles with a damp rag and insert the oven base back into the oven.